Normally, when we think about great artistic video or photography, we think about quality, story and composition. But sometimes it’s just about access – being in the right place at the right time with the necessary gear needed to capture the scene or event. 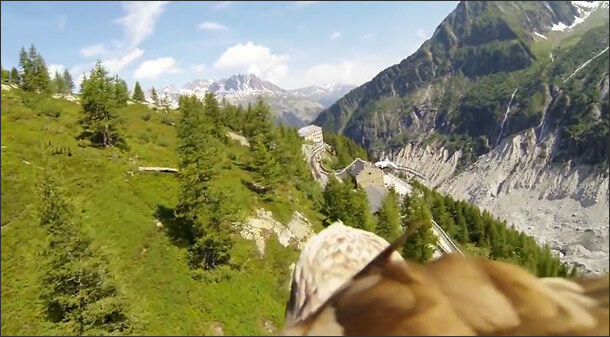 That’s the case with this viral video where someone strapped a POV camera to an eagle. The video quality isn’t anything special, there’s no story and the composition is for the birds (heh heh). But there’s no denying that this is one helluva cool video. Update: I was able to get in touch with M. Travers, the man who made the video and got a photo of the eagle with camera mounted, and some added technical information, which you’ll find below. 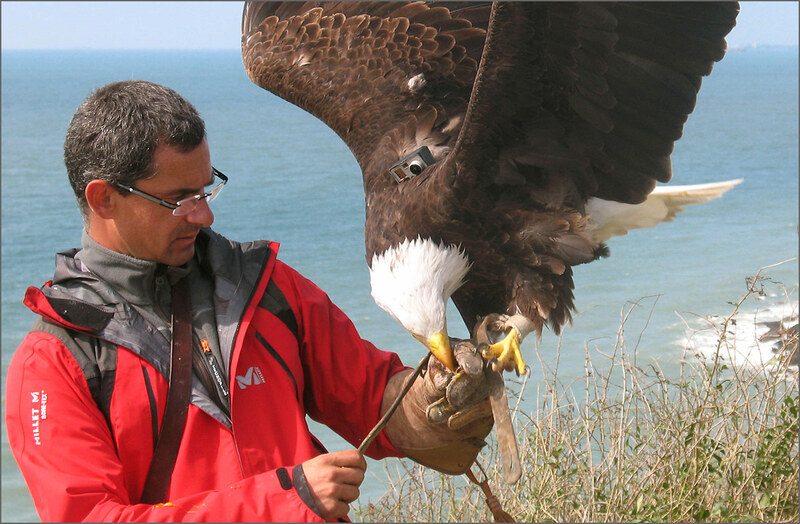 The video was made by Jacques-Olivier Travers, who runs Les Aigles du Léman raptor park on Lake Geneva, on the edge of the Alps. The park is open to the public with shows that feature the birds in action in a variety of scenarios. M. Travers is more than just a raptor-lover and showman, though. He actually flies with the birds, using a paraglider. And recently, thanks to the lightweight POV cameras that are available now, he started making the bird’s eye videos you see here. One of the things I like most about these videos is that I can see the eagle’s head. That makes them more than just another aerial video that could have been shot with a quadcopter. The eagle becomes an important part of the composition and reminds us who’s in charge and making the shot decisions. I was able to contact M. Travers via e-mail and he sent me the photo below, where you can see the camera he used to make these videos. It’s a GoPro Hero 3 Black – the best POV camera on the market (excluding recently announced cameras) according to the shootout I did this spring for our mountain bike site, Mtbr.com (Spring 2013 POV Camera Shootout). The amazing thing about this photo is how huge the eagle is. When I watched the videos I assumed the camera would be a much bigger burden, but it’s actually tiny and probably hardly noticeable to the bird. To see more videos and learn more about Jacques-Olivier Travers and his raptor park, please visit the Les Aigles du Léman and ADL TV Web sites.